Pets OK BC is a non-profit with one objective: to bring British Columbia’s rental rules in line with Ontario’s when it comes to pets. The group is engaged in a petition drive designed to bring attention to the lack of pet-friendly housing in the province. They want to change the Residential Tenancy Act so that landlords can no longer effectively maintain a ‘no-pets’ policy. The rule would be similar to Ontario, where landlords cannot evict tenants who bring pets into a property unless an animal causes damage or other harm. British Columbia’s SPCA is in complete agreement, citing the significant number of animals abandoned or surrendered each month because a tenant has to move and cannot find housing that accepts pets. Some landlords are on board with the change. For instance, one supporter suggests that landlords should focus first on finding the right tenant, and then determine how to accommodate any pets. Still, many landlords are skeptical of pets in rental properties, primarily out of fear of property damage and the resulting income loss. The Ontario rule is widely criticized by landlords for encouraging tenants to hide the fact that they have a pet until after they move in, when the landlord has little or no recourse, despite a no-pets policy. 1. Increased Tenant Retention. Once you find the right tenants, having them stay for a while can lower your costs. Tenants with pets stick around longer. In fact, tenants with pets may stay up to four years, or more than twice as long as tenants without pets. 2. Maximized Rent Potential. Because a majority of tenants want pets, and far fewer properties allow pets, the market demand for pet-friendly properties is quite high, which can drive up rents. According to the B.C. SPCA, pet-friendly landlords can expect 20-30% higher rent. 3. Better Tenants. The number of tenants with pets is greater than the number without. That simple fact means a no-pets policy limits the rental applicant pool and discourages many highly-qualified prospects. There appears to be a correlation between tenants who are good with pets and those who are good at taking care of the rental property. 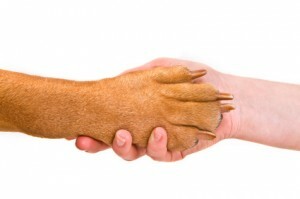 Rather than being an inconvenience, pet ownership may signal a responsible tenant. And, the SPCA adds that having some pet owners around can actually make a property safer. Tenants who are up at dawn or out at dusk walking their dogs can spot potential risks to the property and their persistent presence can ward off crime. It is possible to enjoy the financial benefits of pet-friendly properties without the increased risk of property damage. All it takes is diligent tenant screening. Because the tenant is going to be person responsible for the pet, screen tenants with pets as you would other tenants, including a determination that the person likely will care for the property. The way the applicant cares for the pet will give you a window into how they will care for the property. The B.C. SPCA offers sample tenant screening questions and other tips here for landlords considering tenants with pets. Also, view our previous post, How to Screen Tenants With Pets for more ideas. With a little bit of planning, landlords really can have it both ways! Rental properties come in all shapes and sizes. Some are large multi unit buildings with entirely separate units, others are smaller houses divided into 2 or 3 small units. Others are like mine, I am a landlord of one basement suite in my house. We have a shared ventilation system and a family member is allergic to cats. How would these changes affect/protect me? I had the bad experience of renting to a tenant with two lovely puppies. Unfortunately when she left, the carpets and underlay were soaked in dog urine. Without her signed consent, I couldn’t even get to use one cent of the security deposit to do the cleanup (which is too little an amount far inadequate to cover the cleaning cost anyway. This all sounds nice and wonderful, but it’s putting all the risks onto the landlord. One urine soaked carpet or scratched up hardwood flooring far exceeds a damage deposit (especially in BC where security deposits are only half the rent amount). Maybe there should be a consideration for additional deposits when pets are involved to offset this rather than forcing legislation that will push more landlords out of the business?